How and Why to Make Your Own Hemp Milk and a Giveaway! For someone who writes recipes, maybe surprisingly, I use a fair amount of convenience foods. Even though I like to make my own pasta sauce, I almost always have a jar or two of sauce in my pantry. The same goes for refried beans. Life with busy schedules and juggling jobs, means sometimes (often) I need a little help wherever I can find it. Even though I buy packaged non-dairy milk (and there is an ever-increasing variety available! ), I am thrilled that I can always make some healthy, protein-rich hemp milk whenever I need it for a recipe or for my coffee or tea or to add to cereal or oatmeal. Shelled hemp seeds and water combine to make do-it-yourself hemp milk. Making your own hemp milk could not be easier! All you need are shelled hemp seeds (or hemp hearts, as they are sometimes called) and water. Then you blend them together. That's it. You can add some sweetener like agave or maple syrup and a pinch of salt for taste. You can filter it through a nut bag or coffee-filter-lined strainer for texture. For basic hemp milk, though, all you need is hemp seeds and water. 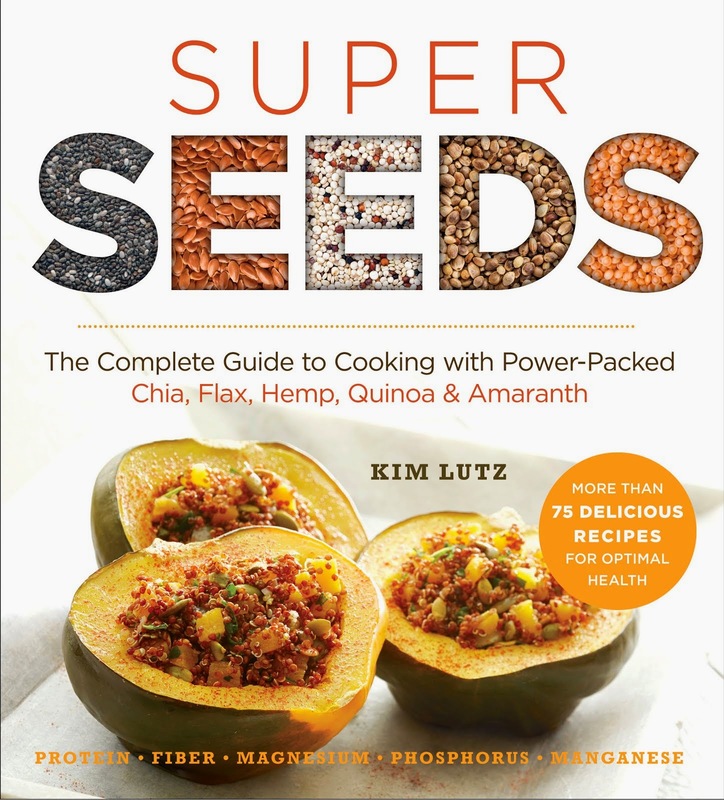 I used hemp milk all the time while I was writing the recipes for Super Seeds. It's packed with nutrition from the hemp seeds -- fiber, protein, iron, magnesium and zinc -- and it's creamy, easy-to-use and delicious. Check back for a recipe for Strawberry Hemp Milk (or Pink Milk) in a few days. If your water has a distinctive taste, though, you are going to want to use filtered water. 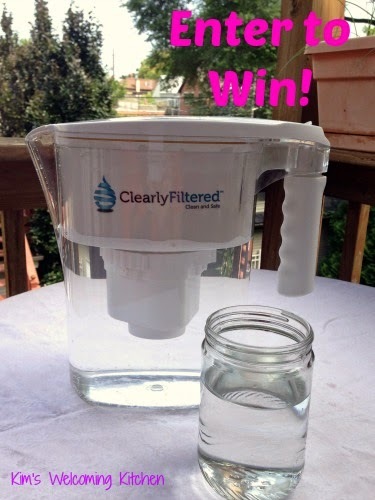 The folks from ClearlyFiltered sent me a water filter pitcher to try. I really like this pitcher. According to the company, the filter will last for up to 200 gallons, unlike the 26 or 40 gallons that other brands can filter. Their literature also states that ClearlyFiltered can eliminate almost all chlorine, fluoride, lead, mercury, & chromium 6. I love that you don't have to remember to change the filter all the time. I also love that I can offer one of these pitchers to one lucky reader! The folks at ClearlyFiltered sent me two pitchers. One to try and one to giveaway. This giveaway is only for readers from the United States or Canada, sorry! I received two ClearlyFiltered water pitchers from the company; one for my consideration and one I am giving away. Any opinions are my own. I haven't used hemp seeds yet, but now plan on making hemp milk. It is really easy Purnima. Glad you are going to give it a try! 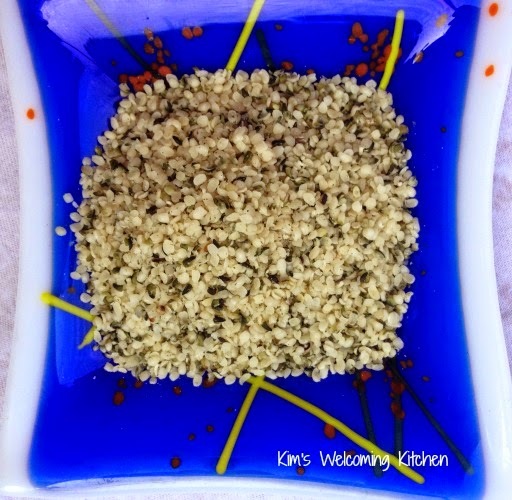 I use hemp seeds in raw food bars. I loe making my own milk! Glad you are both incorporating natural and healthy seeds in your diets. Do you have a source for buying them? I toss em in salads! THanks! I boost the nutrition of my oatmeal that way, too! My kids even like oatmeal with hemp seeds. I throw hemp seeds on everything! 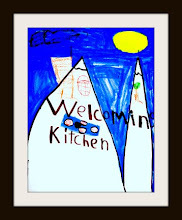 Oooh, do you have a recipe you can share? Glad you are going to give it a try! I make homemade granola bars and put hemp seeds in them! Super powered granola is awesome! Hemp seeds are great on cereal! I am just learning about hemp seeds. I think that I would start by sprinkling them on oatmeal or adding them to smoothies. I put hemp seeds in my oatmeal in the morning. I use them on salads! I have never used hemp seeds but I am a full believer in all their wonderful properties! I have never used hemp seeds but I've been looking into making nut milks -- I'd love to try making hemp milk! It is so easy and creamy! I use it in my breakfast oatmeal. I add hemp seeds to my smoothies! I love doing that, too! On salads a topping on granola on puddings or desserts. Hemp seeds can also be added to smoothies. You are a hemp seed pro, Ashley O.! I love to use them in my cereal and when baking! Thanks! Baking with hemp seeds is a great way to make your treats healthier. I've tried it in my oatmeal before but I plan on using them more! Hopefully you will get the chance in the future, Elena! I hope you get a chance, Sara! Bailey Dexter, I love to toss in hemp seeds in my cereal and also bake with them! I love it in yogurt, too! I have not yet used hemp seeds in cooking, but the superfoods cereal I buy from Whole Foods has hemp seeds in it. Sounds like a super healthy cereal! I have never used hemp sees for anything but sounds interesting. I love adding seeds to cookies! I just bought some hemp seeds and didn't like them:(. So I will definitely be trying your milk recipe! Oh, that is too bad. This is a great (and nutritious) way to use them up! I have never tried hemp seeds I dont know how or what I would use them for. I am so impressed by all the good ideas posted here. Maybe something will suit your tastes. I have not used them yet but with so many stomach issues,,I am trying every day to use alternative more healthy and a lot less processed foods ,so i am trying and i can't wait to use them. I hope your change to a healthier and less processed diet makes a difference in your stomach issues, Maria! We buy them at Whole Foods, but I have seen them at our other more mainstream grocery store, too. Sometimes they are in the health food section. You can also buy them online. Thanks for the comment! 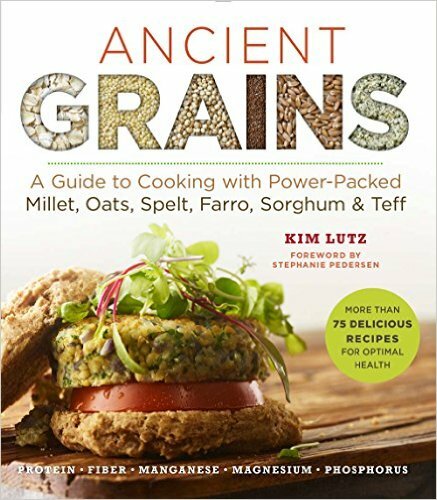 I haven't used hemp seeds yet, but cooking with them sounds great! Hope you will be able to give hemp seeds a try. I have never used hemp seeds, but my sister works at a high end smoothie shop and she says people like them in their smoothies. That is awesome. Our smoothie shop does not offer them yet. I have never used them before. I have never used hemp seeds before and actually haven't even heard of them before either. Thanks for letting me know about them!!!! You are welcome, Sol. Hope you are able to give them a try. i havent use them yet,but would love to try it. Such a good way to boost nutrition of everyday foods. We use them in granola and trail mix! I don't currently use hemp seed, but I'd love to try them! They are a great "super seed." I am excited to use hemp to boost the nutrition of some of my favorite foods. I'd like to try making hemp milk, too! Glad you are giving them a try!